Lending at interest has caused lots of debates over centuries. In the middle ages, it was considered outright evil. Nobody thinks like that anymore. Lending institutions (banks) have become the largest business enterprises in the world. Borrowing and lending have become an inseparable part of business and economy growth. Both businesses and people borrow for a variety of reasons. The key question remains the same – at what price (interest rate). In post-2009 crisis era, Central Banks have slashed interest rate close to zero. Keeping money in the savings accounts may actually cause one to lose money due to the inflationary economic environment. P2P platforms have become an attractive solution for investors that expect above-average returns on their investments. However, the issue of moral responsibility of lenders to provide qualitative services at reasonable interest rates remains of paramount importance due to a large number of online lending platforms and lack of accountability of some of them. These are typically small amounts of money lent at very high-interest rates with the agreement that the money will be paid back when the borrower receives the next paycheck. The size of a payday loan market is really huge and there is quite a large number of people who take out the loans. According to the research, around 12 million Americans take payday loans each year and spend around $7 billion on loan fees. The annual percentage rate on those fees ranges from 300% to 500%. The situation in Europe is quite similar. In comparison, an average percentage rate on credit cards would be way smaller 15%-30% and 10%-25% on personal loans in a bank or credit union. Why would any person go to take a loan and pay such inconceivable interest rates to a payday lender? The same research shows that most customers of payday lenders are mainstream workers with the lowest annual income. Most of them do not qualify to get credit cards, have a very poor credit score, lack access to credit, and face regular financial problems. An average person in need to cover utility bills or short-term needs can use a credit card, while the people who don’t have to turn elsewhere to gain the necessary cash will go to payday lenders. Unfortunately, high-interest rates charged by payday lenders leave those people in an even worse financial situation than before the loan. Short term repayment demands remain huge and borrowers have to return the loans within a short period of time, often cutting a huge amount of cash from their paycheck. However, there is another utility bill coming or need to buy food or pay the rent and if the borrower fails to pay off the entire amount fees, interest and penalties keep on growing, thus putting the borrower in an even more dire situation. We may look at the price of a typical loan to the customer (borrower). Let’s say a short term payday loan is 100 Euros with a 10 Euros fee for 2 weeks. At the end of two weeks, a borrower will have to pay back 110 Euros to the lender. Let’s do the math and see how much it would cost a borrower to pay back the loan in a year. It does not look much, right? However, how much would you pay after a year? Thus, apart from 100 Euros of principal, you would have to pay extra 261 Euros in fees (or interest), provided you pay off the loan in time, without delay. The annual interest for the loan would be 261%. What if the fee is 15 Euros on 100 Euro loan, or even worse if the payday lender charges 20, 25, or 30 Euros on 100 Euro loan? Let’s do the math and see how much it would cost a borrower to pay per day and annually. So, if the payday loans are used often, or loans are rolled over to several terms it will become very costly to end users, who, as we have stated are cash negative. Fees grow exponentially throughout the year doubling, tripling or even increasing as many as 7 times of the original amount of a loan. Taking these type of loans may crush any borrower financially very fast. Then only short term benefit of these loans is that a borrower will cover his short term needs. On the other hand, businesses around the world are always in need of funds to fuel their daily operations. In fact, according to Forbes, the most common cause for bankruptcies of companies within the first years of business is lack of access to funding. This is particularly true for small and medium-sized companies as banks are unwilling to lend to them. The gap of unfunded SMEs around the world widened from $2.6 trillion to $5.2 trillion. 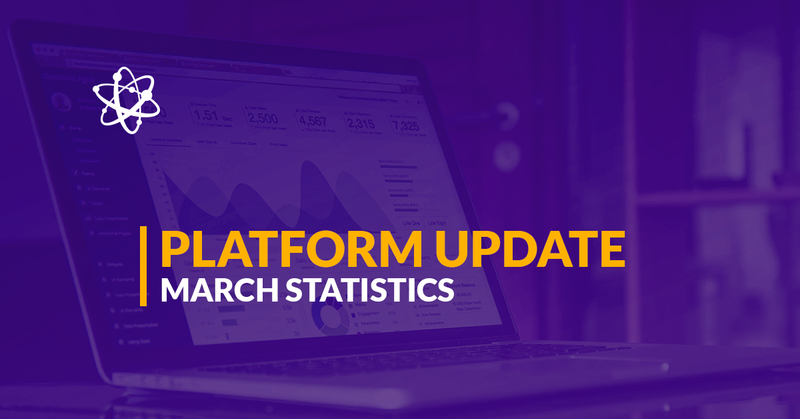 The reason was the main cause for the rise of alternative lending platforms such as Funding Circle, Lending Club, Mintos, Zopa, Ratesetter, Twino, Assetz Capital or our own Debitum Network. The online p2p platforms that these companies operate have simplified lending process cutting paperwork to a minimum and reducing requirements for getting a loan. Take, for example, our partner and loan originator Debifo that puts loans (assets) on Debitum Network platform. It does not require long-term contracts or collateral and has no hidden fees. After completing a short registration form, clients can raise invoices for financing and receive the funds they need within a few days. The same procedure with the banks would take businesses 1-2 weeks. If young businesses can prove sales revenues exceeding 30 000 Euros, provide services and goods to other businesses and have been in business for at least 6 months, they would not have problems with getting funds. On the other hand, banks would not finance companies that have short business history, lack of real estate collateral or personal guarantee. Thus, a new market of alternative finance that provides necessary funds for SMEs has been growing steadily for over a decade. As we may see from the points above, alternative finance has become not only a way of alternative lending but due to online P2P platforms – an excellent way to invest and diversify. In comparison to other traditional investment options, investing in short term loans for SMEs offers far more attractive returns than the traditional ones. You can read more about it in our blog post where we outlined all the advantages of investing in short term loans. We have done calculations how much an investor can make if he invests in short term loans and reinvests the principal and interest to take advantage of the principle of compounding interest investing in loans for businesses on Debitum Network platform. More on that can be found in this blog post. However, we would like to present a couple of examples to outline profits that compile in the long run due to compounding. For example, you invest 1,000 Euros at an annual interest of 10% for both simple and compound interest rate (compounded once a year). At the end of the second year, you will have 1,200 Euros on a simple interest rate account and 1,210 Euros on compound interest rate account (compound interval once a year). If that does not look much, look what happens if you keep the money in the account with the same interest (compounded once a year) for 5, 10, 25 and 50 years. How would you fare if you invested 1000 Euros with Debitum Network at an average 7.5% annual interest rate compounded interval every month, 8.5% compounded once a year and simply put the same amount for 10% simple interest rate into a savings account for 5, 10, 25 and 50 years respectively? The examples clearly show the lending process can be beneficial for investors. Those that invest in the loans earn exponential income over the years as the principle of compounding accelerates profits from both interest and principal. However, not only investors benefit from the process. As investors reinvest their money in short-term loans, businesses regularly get the necessary funds for functioning and can keep on borrowing. Loan originators that provide money to borrowers that are able to repay the loans have fewer defaults that those that keep on doing business with private individuals (that mostly borrow for consuming) and thus can function unobtrusively and be confident that lent funds will be returned. 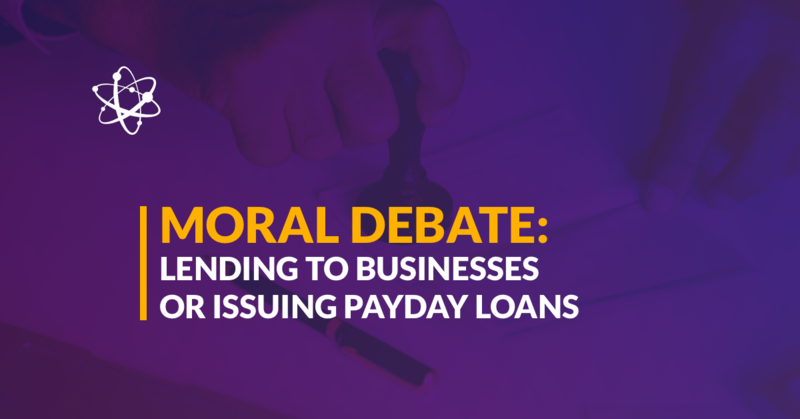 Having looked through the facts regarding payday loans and lending to businesses we can clearly state that payday lending, actually, does more harm than good for those who take them. It also damages the image of lending due to extraordinarily high-interest rates and the harm it does to average borrowers. The only beneficiaries in the process are those that issue those loans – payday lenders. Unfortunately, a huge number of defaults on these type of loans may actually cause a payday lender to go bankrupt too. On the other hand, lending to businesses at reasonable interest rates creates inherent value for all parties participating in the lending process: companies that borrow, investors that invest in the loans, loan originators that issue the loans. The process leads to job creation and growth of the economy in general too. Furthermore, it may sooner, or later become a real competitor in terms of investment to traditional ways to invest due to a quick turnaround of invested capital and the principle of compounding interest. Ready to invest in business loans? We want to offer everybody a possibility to take part in the lending process by investing in short term loans for SMEs. Minimum deposit is 50 Euros, minimum investment just 10 Euros. Interested?